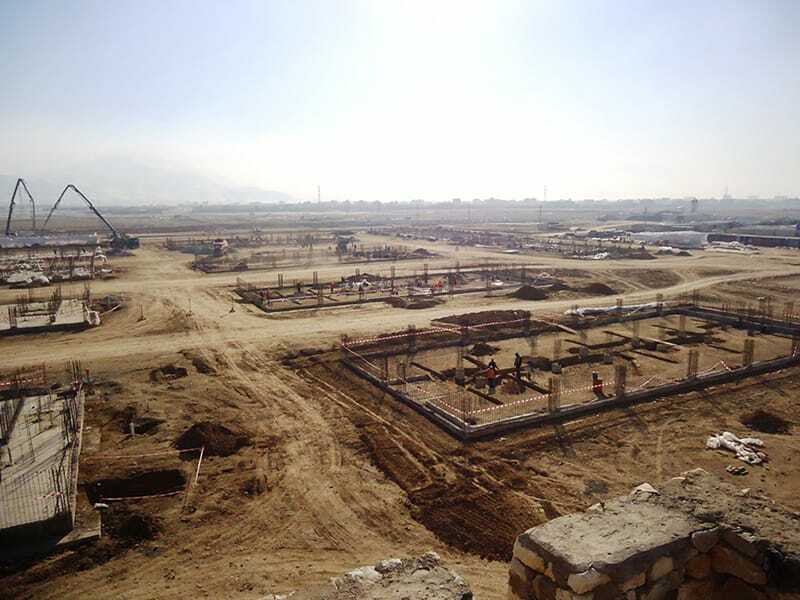 Gilbane manages local subcontractors and complex logistics under tight security during construction of Pol-E-Charki, the largest detention facility in Afghanistan. Gilbane directed design, construction, and expansion of the new 635,000-square-foot Pol-E-Charki Detention Center in Afghanistan. The facility renovation included detention housing units, visitation center support service structures, utilities, and infrastructure sufficient for 1,085 Afghan Armed Forces personnel, 100 daily visitors, and 1,530 detainees. Experienced with executing work in remote and austere environments, the new Pol-E-Charki structures were constructed with materials that are uniquely suited to withstand the harsh desert climate of Afghanistan. 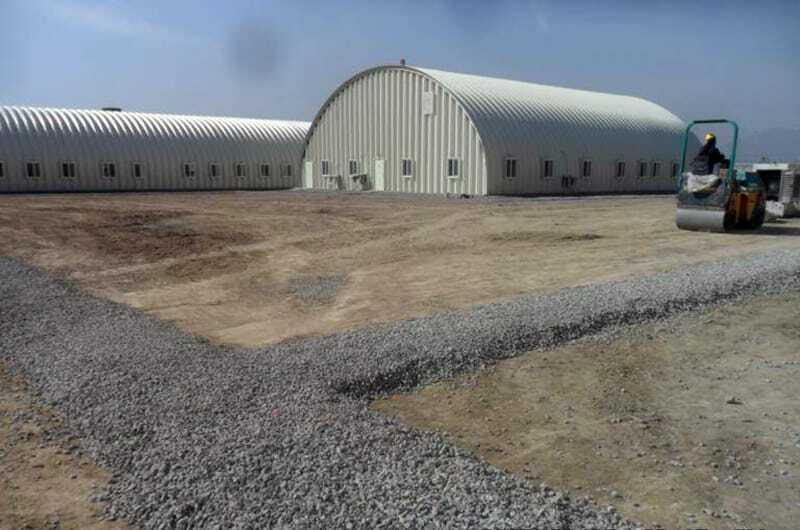 New structures included detention housing units, a battalion office HQ, warehouse, barracks, gym, administration center, kitchen, dining facility, covered loading dock, mail screening facility, sewage and wastewater collection and treatment facility, vehicle maintenance and fuel storage facilities, training center, medical clinic, arms storage and power plant, among others. The project required significant coordination of personnel to prioritize phased construction of multiple facilities; all within an aggressive Design-build schedule. Gilbane developed an Implementation Work Plan to guide the successful execution of work while applying the most cost-efficient and expedient construction methods. This included K-span and CIP construction; and rigorously monitored vendor and subcontractor costs. Obtaining concrete for the project on schedule was also a major concern, so we mobilized an on-site batch plant to produce our own concrete. Gilbane provided recommendations during the design to reduce project costs and enhance the facility’s functionality. For example, we recommended resizing the fuel storage tanks to meet the base standards. Our recommendation saved the Government approximately $2 million, and will facilitate maintenance of the fuel storage tanks. To improve the facility’s functionality, we recommended providing a forced air circulation system for the prison since it had no air conditioning. Work was completed one month ahead of the final schedule, within the final budget, and with an outstanding safety record (5.5 million job hours completed without a single lost-time incident).